Digital transformation has ushered in a new era in both B2C and B2B commerce. To engage with your customers, you need an effective omnichannel strategy – and the right platform to deliver it. Customer engagement is more important than ever. The expansion of e-commerce means that every shopper follows a different journey and expects personalized interaction at every touch point. And with so many brands to choose from, customers more readily switch from one to another. However they choose to shop – whether online or in store, on a mobile device or desktop – they want a consistent shopping experience. 79% of all customers spend at least 50% of their purchasing time researching products online. To meet modern demands and remain competitive, companies need to optimize their omnichannel processes and engage with shoppers at multiple touch points. They must deliver excellent customer service and a unique commerce experience to the individual, consistent across all channels. Enterprises deploying an effective omnichannel strategy tap into a wealth of opportunities, generate new leads, increase revenue, and achieve sustained business growth. Are You Facing the Following Challenges? Are you being held back by duplicated customer information scattered across different data silos? If your buyers purchase from various channels, do you have up-to-date information on what’s in stock? Are your online shop’s database and your mobile selling applications stored in separate locations? Can you ensure that all digital and physical channels share a consistent look and feel? Are you able to offer customer-specific catalogs and price lists? 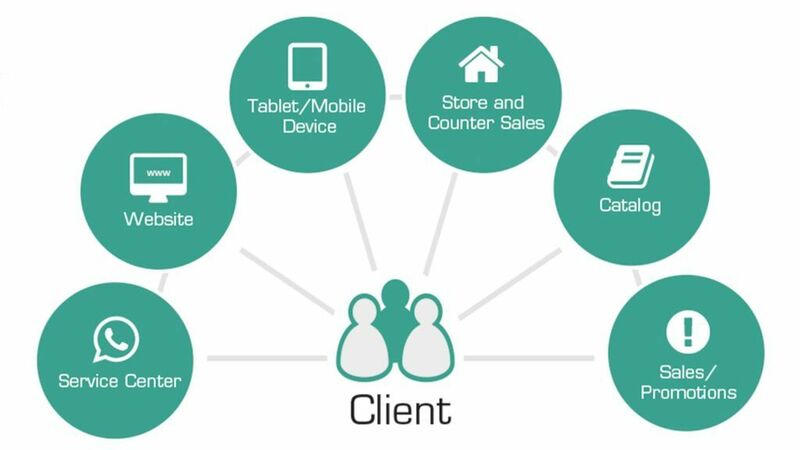 What Makes Your Omnichannel Strategy Successful? 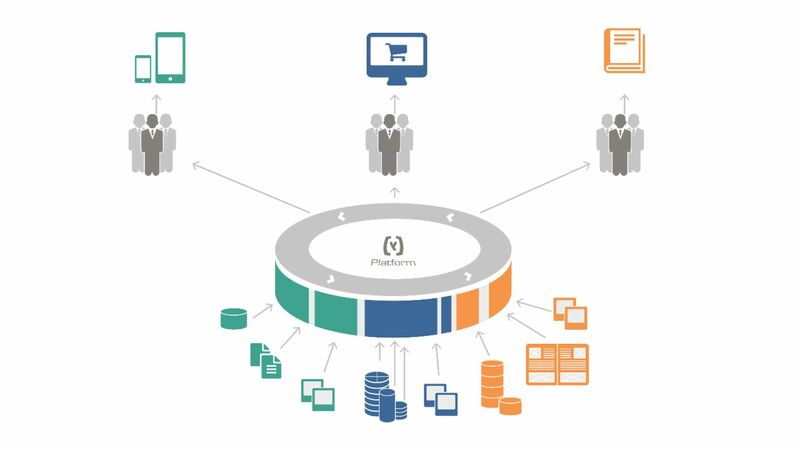 Bring all of your data and commerce processes together under one roof. Eliminate multiple, inconsistent data sources and gain a single view of customer, stock, and product information. Benefit from better-informed decision making and increased business agility. Connect commerce and marketing processes and profit from seamless interdepartmental collaboration. Sales can quickly pass on information from customer interactions to help marketers build targeted campaigns. Meanwhile, valuable insights gained through market research and customer profiling support the commerce team in devising effective sales strategies – including personalized recommendations. Integrating your ERP and CRM systems can improve business agility and data reliability. Any changes made to information in one (regarding customers, contacts, inventory, etc.) will be instantly reflected in the other, meaning faster access to crucial data to support sales and decision making. Furthermore, by bringing the two systems together, you gain a 360-degree view of customers and a single source of truth. Provide customers with content that is geared toward their preferences. In a next-generation e-commerce suite, your website will automatically generate offers and recommendations based on the user’s purchase and search history. Products and services that are of greater interest to the shopper will appear higher in catalog searches. In this way, you drive customer engagement, encouraging first-time purchases as well as repeat business – and ultimately boosting sales. As part of your commerce solution, a modern PIM module makes it simple to update catalogs, add products, and edit descriptions. It keeps information consistent across all channels, making it easier for customers to find what they want on any device. 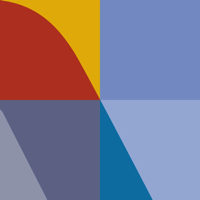 This in turn boosts the effectiveness of your marketing campaigns, branding, and SEO. 52% decrease in customer support cost after migrating to a B2B e-commerce portal. Available on premises or in the cloud, SAP Hybris Commerce meets the challenges of the digital age. The next-generation suite of commerce solutions unifies data and processes in a single location, reducing complexity and eliminating multiple data sources. 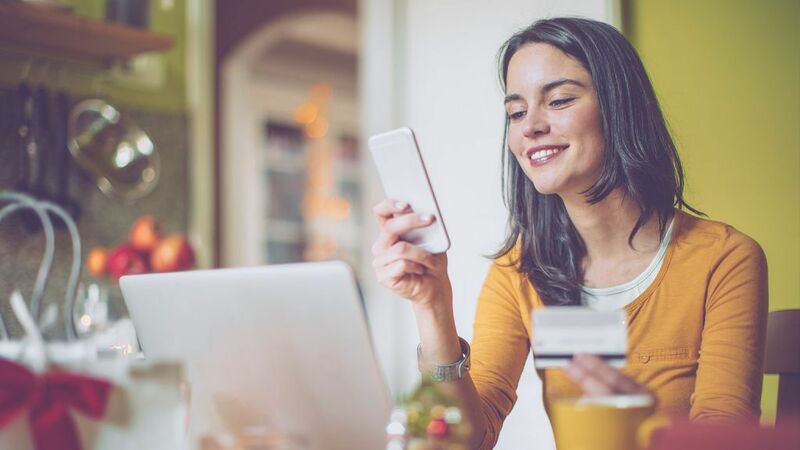 At the same time, the suite’s built-in versatility ensures that your customers enjoy a consistent shopping experience no matter what channel they decide to use. The result is an increase in customer satisfaction, improving the chances of a sale. As a SAP Hybris Gold Partner and member of the SAP Global Partner Executive Council, our expertise in omnichannel commerce and SAP Hybris solutions is well recognized. In fact, our portfolio includes over 50 Hybris Commerce implementations across the globe in a wide range of industries – including retail, telecommunications, life sciences, and manufacturing. However, we have more than just experience to call on; we also have over 250 SAP Hybris Commerce consultants around the world. These experts are capable of implementing both cloud and on-premise solutions – and can deliver on-site as well as offshore support. This means that wherever you are, and whatever your needs, itelligence will provide a service that works for you. Initially, we were only searching for a sales support system. Hybris’ future safety as well as the coherent concept of our longtime partner itelligence has convinced us of the innovative commerce solution. Today, Hybris is our strategic platform for the development of new business and sales models. Today’s B2B buyers want personalized services. They want online convenience. And they want consistency across the devices and channels they use to make a purchase. Get a snapshot of how itelligence can help you meet their expectations and bring B2C capabilities to your B2B e-commerce with SAP and Hybris e-commerce. Are You Offering Your B2B Customers the Same Omnichannel Experience They Are Used to in Their Private Life? Learn how to realize enormous revenue potentials in the mid-sized market by leveraging e-commerce as part of your omnichannel strategy. With our product it.B2B e-commerce for machinery, you get a pre-configured and customized solution for successful business across all sales channels. Did You Know that 70% of B2B Sales Are Done Digitally? Get to know how itelligence helps you to optimize your supply chain with best-of-breed omnichannel solutions like SAP Hybris. Are You Facing the Challenge of Doing Sales in Multiple Languages in an International Business Environment? Learn about the Across Language Server, a seamless software platform for efficient translations in SAP Hybris for omnichannel commerce. Are you searching for answers or would like to receive more information on Omnichannel Commerce? Do you want more detailed advice from our expert or wish to book one of our Omnichannel Commerce workshops? Just contact us – we will be glad to help you.